EPCO Australia has considerable experience with remote and difficult site installations, ranging from isolated indigenous communities on small islands, to mountainous jungle mine sites where the equipment had to be transported to the site in small loads via helicopter, to the desert oil well sites of the Middle East. EPCO Australia’s experience with remote installations has led to the development of a number of successful innovative design solutions to the difficulties encountered on such sites. Appropriate technology is important in many remote sites, as there may not be expertise readily available to troubleshoot exotic systems. Our designs take into consideration the installation, operation and maintenance constraints imposed by local conditions. These constraints may include, lack of lifting cranage, lack of technical expertise, lack of readily available operational assistance and a corrosive seaside environment. The equipment is designed so that it can be readily transported to and installed at sites where access is limited. We also promote the employment of local indigenous workers to assist with installation of the equipment. With appropriate operator training, this can lead to ongoing employment as a plant operator. Such an operator with intimate knowledge of the equipment and a personal interest in maintaining it can be invaluable. A client wants to initiate a development and finds the EPA requires that a wastewater treatment plant be installed to treat the wastewater stream, possibly for reuse. Current facility will not cope with the planned expansion. To obtain necessary permits and approvals an upgrade or replacement of existing system will be required. Client has been advised by EPA that the licence to discharge is being reviewed and a higher effluent quality standard is going to be imposed on the facility. Each of the above scenarios will require different applications, however the basic steps needed to be taken in order to come up with a solution is the same. Also, any solution will need to give due consideration to the requirement for maximising effluent reuse. Endeavour to find out what level of effluent quality the EPA requires of a site in your area. Quantify the stages of your planned expansion. Identify and quantify the area of land available for both the treatment plant, land disposal of the effluent and wet weather storage. Evaluate existing treatment equipment if any. EPCO Australia can assist if required. Meet with EPCO Australia to review options and consider most appropriate solution to the site’s needs. 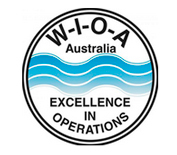 EPCO Australia to provide quotation in a form that can be forwarded to EPA for consideration. EPCO Australia to recommend action required to gain EPA licence approval. After acceptance of an order, EPCO Australia to undertake the construction, installation and commissioning of the new or upgraded system. Provide operation and maintenance training to the operator. This is vital, a well trained operator can optimise plant performance and ensure consistent output effluent quality. Carry out testing of the effluent, to satisfy EPA requirements. For further information on the approval process go to the Queensland Government Department of Environment and Heritage Protection website.